Definition at line 2044 of file CCopasiXMLParser.h. Definition at line 2051 of file CCopasiXMLParser.h. Definition at line 6011 of file CCopasiXMLParser.cpp. 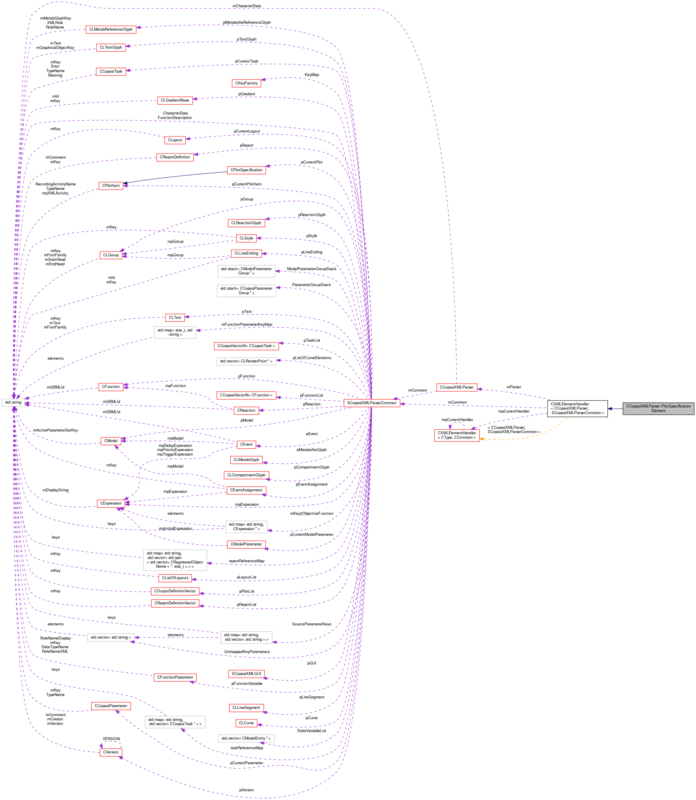 Definition at line 6016 of file CCopasiXMLParser.cpp. Definition at line 6117 of file CCopasiXMLParser.cpp. References CCopasiParameter::BOOL, CCopasiParameter::CN, CCopasiParameter::DOUBLE, CCopasiMessage::EXCEPTION, CCopasiParameter::EXPRESSION, fatalError, CCopasiParameter::FILE, CKeyFactory::get(), CCopasiParameter::getKey(), CCopasiObject::getKey(), CCopasiObject::getObjectName(), CCopasiParameterGroup::getParameter(), CCopasiParameter::getType(), CCopasiParameter::getValue(), CCopasiParameter::GROUP, CCopasiParameter::INT, CCopasiParameter::INVALID, CCopasiParameter::KEY, SCopasiXMLParserCommon::KeyMap, CCopasiXMLParser::mCommon, MCXML, CExpatTemplate< CExpat >::mParser, CCopasiParameter::Value::pBOOL, CCopasiParameter::Value::pCN, SCopasiXMLParserCommon::pCurrentParameter, SCopasiXMLParserCommon::pCurrentPlot, pdelete, CCopasiParameter::Value::pDOUBLE, CCopasiParameter::Value::pFILE, CCopasiParameter::Value::pINT, CCopasiParameter::Value::pKEY, CCopasiParameter::Value::pSTRING, CCopasiParameter::Value::pUDOUBLE, CCopasiParameter::Value::pUINT, CCopasiMessage::RAW, CCopasiParameter::setValue(), START_ELEMENT, CCopasiParameter::STRING, CCopasiParameter::UDOUBLE, CCopasiParameter::UINT, UNKNOWN_ELEMENT, and SCopasiXMLParserCommon::UnmappedKeyParameters. Definition at line 6019 of file CCopasiXMLParser.cpp. 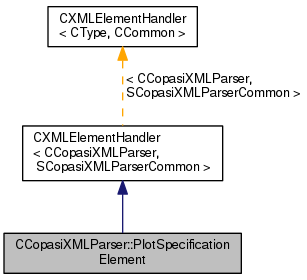 References CPlotItem::curve2d, CCopasiMessage::EXCEPTION, CCopasiXMLParser::mCommon, MCXML, CExpatTemplate< CExpat >::mParser, SCopasiXMLParserCommon::pCurrentPlot, SCopasiXMLParserCommon::pCurrentPlotItem, CPlotSpecification::setActive(), CCopasiObject::setObjectName(), CPlotItem::setType(), toEnum(), UNKNOWN_ELEMENT, and CPlotItem::XMLType. Definition at line 2063 of file CCopasiXMLParser.h.